It has been more than three months since my constituents in Bunkerville, Nev., had their lives turned upside down by the standoff at the Bundy ranch. Although Bunkerville (population 1,300) is no longer in the media spotlight, life there has not returned to normal. The militia presence may have dwindled, but a sense of chaos and uncertainty lingers in my state and the broader American West. When news of a rebellious rancher facing off with federal agents broke in April, conservative media and politicians pounced, quickly lionizing Cliven Bundy as a patriot. They handed Bundy a megaphone, and self-proclaimed militia members from across the country rallied to his side. Conservative media painted Bundy as "The Last Rancher" and, with apocalyptic fanfare, Bunkerville was transformed into some fevered final bastion of freedom. For some pundits, this was a simple tale about a rancher defending his way of life against an overgrown federal bureaucracy. But for others, the stakes swelled far beyond that, and Bundy became a magnet for a mishmash of frustrations, from legitimate to conspiratorial. In the frenzy to pillory the government that ensued, almost no viewpoint seemed too extreme to voice. Emboldened by attention from such high-profile conservative media figures as Sean Hannity, armed militia members set up checkpoints, stopped traffic and occupied roads. At one point, local police had to physically place themselves between the militia and agents from the Bureau of Land Management, fearing for their lives while trying to prevent a bloodbath. Simultaneously, local elected officials were working behind the scenes to cut the fuse on the powder keg. But at a safe remove, Fox News and other conservative outlets dedicated nonstop coverage to the stalemate during the tensest hours on the ground. Finally, the Bureau of Land Management withdrew, and a victory was declared for Bundy. Then came Bundy&apos;s now infamously racist rant, in which he questioned whether African Americans were better off when enslaved, and his support fell away. At this point, Hannity and Co. washed their hands of the story. They had their anti-government victory, and now they needed to distance themselves from Bundy&apos;s racism. Unfortunately, it was too late to truly pull the plug. The fringe had long since taken encouragement from all the supportive coverage. Soon, a Bureau of Land Management agent working in Utah was threatened by two hooded men in an unmarked vehicle, who approached him while holding a sign that read: "You need to die." One man reportedly brandished what appeared to be a Glock handgun. Last month, Brent Douglas Cole, an anti-government conspiracy theorist, allegedly shot two law enforcement members in California. His online footprint is full of references to conspiracy theories, some illustrating his support for Bundy. Most horrifically, two months after the Bundy conflict, Jerad and Amanda Miller shot and killed two Las Vegas police officers, plus a third person. They were at the Bundy ranch during the height of the conflict, and Jerad Miller wrote on his Facebook page that the situation at the ranch could be the "start of revolution." He said he was protecting the Bundy family from "federal government slaughter." I am not suggesting that we draw direct lines of causation between these crimes and the Bundy ranch. That is impossible. But such events don&apos;t occur in a vacuum. They all happened in or near my congressional district. They were all perpetrated by individuals with ideological sentiments apparently in the same constellation as those amplified by far-right talking heads during the Bundy standoff. Such extremists could find only comfort in the small-town standoff that took place in Nevada in April. My plea to my fellow public servants and the media is this: Please, recognize that evocations of tyranny and oppression, counterbalanced by patriotic sacrifice and love of country, are powerful motivators. I watched as a small community was transformed into a hotbed for extremism. That did not happen organically but in an environment created by nonstop attention and demagoguery from media and politicians alike. There can be reasonable disagreement about the Bundy ranch. But we can disagree without offering refuge to dangerous individuals on the fringe. This case is not closed. Cliven Bundy has yet to answer to the law, and the Bureau of Land Management has said it will pursue the matter "aggressively through the legal system." Of those who broke the law at the Bundy ranch, Clark County Sheriff Doug Gillespie said, "They need to be held accountable for it." Elected officials and the media have control over the megaphones that those such as Cliven Bundy hold temporarily. We have a responsibility to understand the language we use and to consider how it will be heard by others. 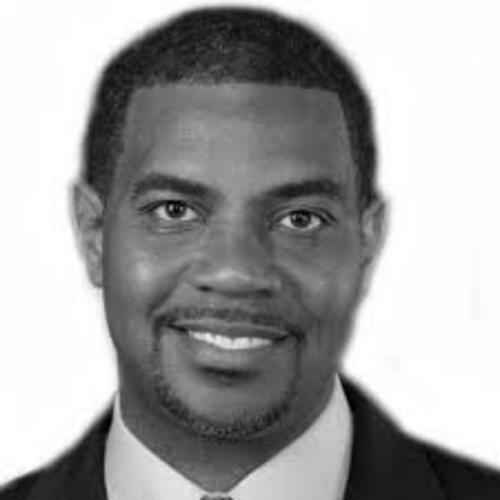 Rep. Steven Horsford, a Democrat, represents Nevada&apos;s 4th District in the House of Representatives.